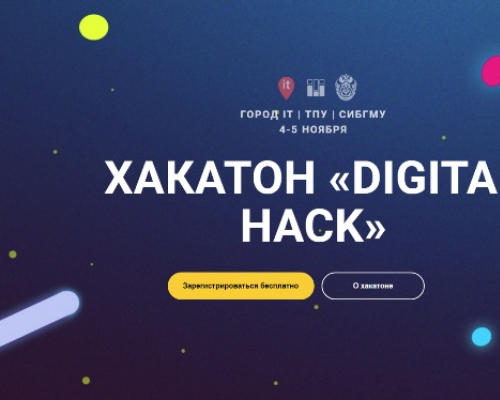 Digital Hackathon will be held at Tomsk Polytechnic University business incubator (51 Belinskogo St.) on 4-5 November 2017. In real time, student teams will develop IT-products for medical applications and the automatization of technological processes. The best projects will be awarded with prizes. For those who are interested in participation it is necessary to register before the 4th of November. The hackathon consists of two tracks organized by Siberian State Medical University (SSMU) and Tomsk Polytechnic University (TPU). Students from different universities should team up to solve interdisciplinary problems of the competition. SSMU track is devoted to digital medicine projects. For example, it will be necessary to develop software to find granules of the diffraction pattern, reliably containing natriuretic peptide, to identify the granules of the first and second type and to count the number of granules of each type. TPU track is devoted to the automatization of technological processes. During two days participants will develop their projects under the assistance of two university supervisors and invited experts. The hackathon program also includes master classes on project fundraising and business plan presentations as well as lectures on key trends in the digital world. At the final the experts will name the winners of the hackathon. The prize for the first place amounts to 15,000 rubles; for the second place it is 10,000 rubles; for the third place the prize is 5,000 rubles. Cases for the hackathon are accessible upon registration. Registration, the program of competition and more information are available at the official website of Digital-Hack.